Use these classic symbols of Easter to send a warm greeting. A budding set of tulips rises from a cracked Easter egg. The shell is dyed pale blue, spotted with lighter circles of periwinkle. The base of the image contains a few scattered bits of the shell, indicating that the fiery tulips hatched from the egg. Bright lights reflect out from the edges of the objects, and the sunny background is a field of yellow with white polka dots. 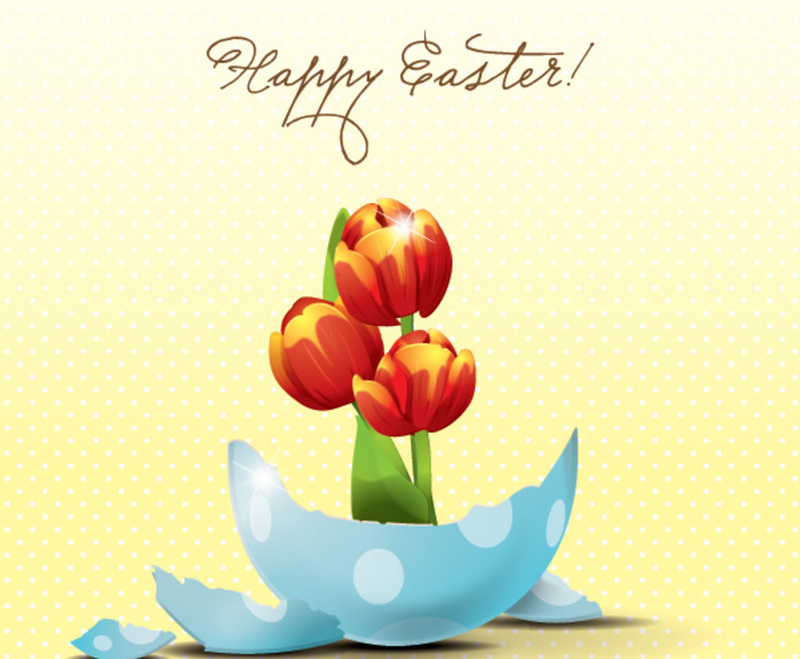 A charming cursive font spells out “Happy Easter!” above the image, sending a pleasant holiday message to the reader.